A legacy of the Thames Salmon Trust’s efforts in the 1990s, salmon passes are installed on all weirs across the River Thames in this stretch. 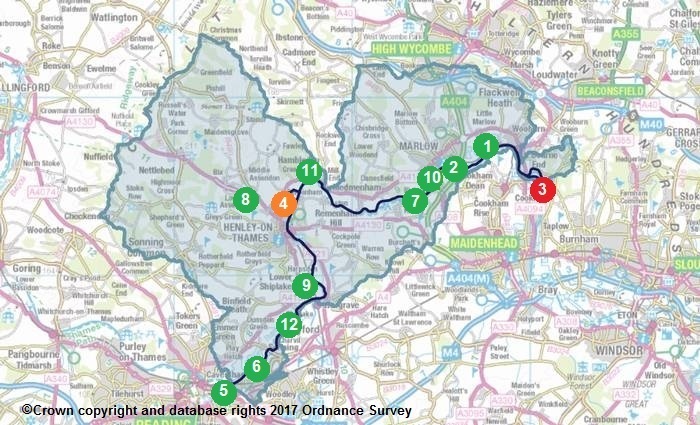 More recently, the Environment Agency has begun to replace or install additional passes to allow the passage of coarse fish and eels. However, more passes need to be provided, either through technical ‘on-weir’ solutions or, where there is sufficient physical space, installing naturalistic bypass channels. Projects 3, and 10 to 12 inclusive, refer to this issue.